Drone Garage | Drone enthusiasm, enjoy drone life! Drone enthusiasm, enjoy drone life! Click here to go to the Drone Garage Store! The @rotorxracing #atomv3 ‼ Looking forward to getting this thing in the air! #rotorx changing the game with an innovative new #rxhdcam that includes a wifi dongle for app connectivity! Read more "Raiju Canopy to Propeller Clearance"
RotorX Raiju (RX155) FPV Micro Hex build log! Read more "RotorX Raiju (RX155) FPV Micro Hex build log!" Read more "THuG logo for your FrSky Taranis X9D+"
Read more "THuG 280 frame BMP for your FrSky Taranis X9D+"
Read more "ImmersionRC Vortex BMP for your FrSky Taranis X9D+"
Flytrex Sky price drop already!? Read more "Flytrex Sky price drop already!?" Flytrex releasing worlds first “cloud connected” drone!? Flytrex, maker of one of, if not the best, drone trackers is releasing their own drone? Significant features include a second battery and “dual piloting” vial RC transmitter and a 3G mobile device?! And 32 minutes of flight time?! 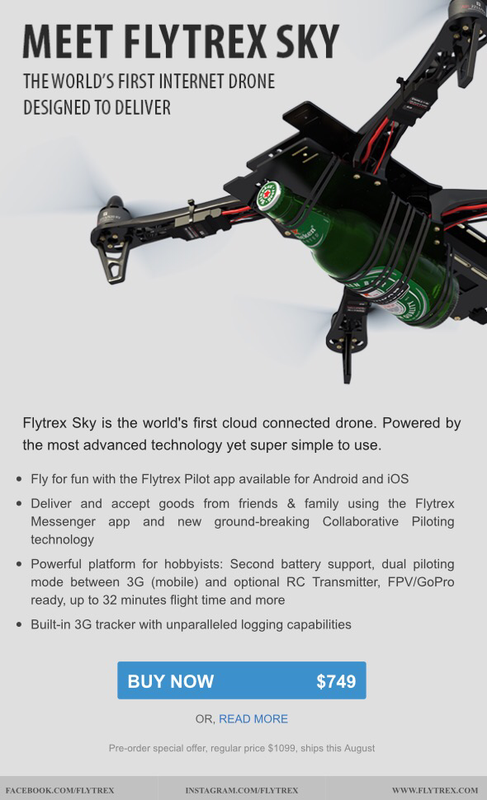 Read more "Flytrex releasing worlds first “cloud connected” drone!?"